The Nissan LEAF is one of the top electric compact car picks because of its extended range. With a full charge, the Nissan LEAF has a 150-mile range, which can be extended by engaging the more efficient eco-mode. The Nissan LEAF has a long battery life, but when it does need charged, you have several convenient options. If you are out and about, you can pull into the nearest charging station for a quick 30-minute charge. This will take the battery to about 80 percent and will get you about 90 miles. 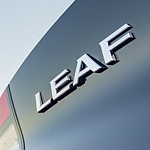 You can plug the LEAF into your household electrical system and it will take about 35 hours. Another option is to use a charger that can give it a full charge in about 7.5 hours. With three charging options and a long battery life, it is no wonder the LEAF is one of the most popular EV picks, so stop by Mojave Auto Group and drive one today.